Thank you Vincent for the mention. 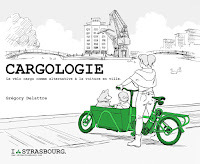 My wife and I can't wait to go back to Strasbourg again. We have never been to any city that it was this quiet in the city center, meaning noise pollution from cars. Pardon me, I meant to say Gregory as well.